The completed comic art is transmitted to the syndicate electronically. 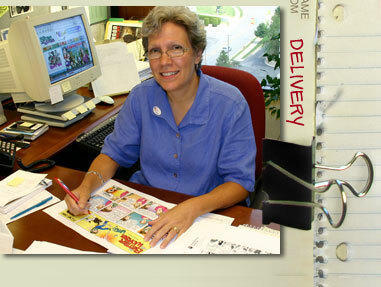 Our editor, Sue, reads the comic art for grammatical and punctuation accuracy. Minor edits are implemented and the final product is now ready for publication in newspapers.